(OPride)—On Sunday March 25, Ethiopia’s opposition Blue Party held a luncheon for recently released political prisoners. The attendees list featured leaders of multiple political parties, activists, journalists and bloggers — nearly all of whom had run-ins with the law over the past few years. After the luncheon, the former prison mates gathered at the home of journalist Temesgen Desalegn for tea and to socialize with other colleagues. The gathering was wrapping up at Temesgen’s private residence on the outskirts of the capital Addis Ababa when police swooped in and arrested the newspaper editor and 10 of his guests. They are being held at the city’s Gotera police station. The crackdown capped a string of weekend arrests across Amhara and Oromia states. Nearly 20 scholars and journalists were rounded up on Saturday in Bahir Dar, the Amhara state capitol, as they met to oversee the formation of a new political party. Among the detained are Amhara academics, university professors and journalists from the state-run Amhara Mass Media Agency. The list includes Belete Molla, an assistant professor of Philosophy at Addis Ababa University, and Desalegn Chane, a professor at Bahir Dar University, according to journalist Belay Manaye. That is some 30 people arrested from two private events alone in a span of 48 hours. 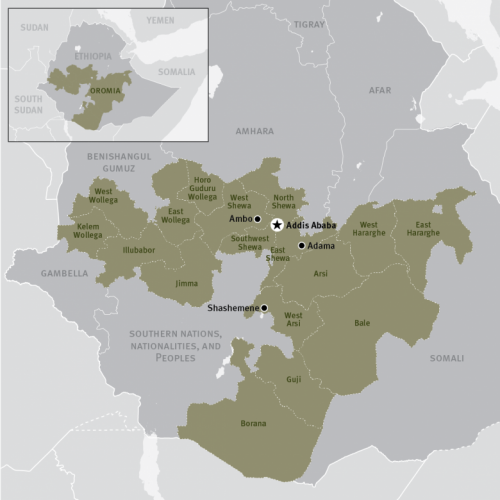 Targeted arrests continue across the restive Oromia state as well. 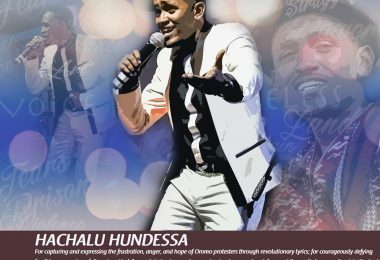 Hundreds of people, mostly reformist leaders of the ruling Oromo Peoples’ Democratic Organization (OPDO), a member of the ruling coalition, have been arrested since the emergency came into effect last month. It is not yet clear whether the military-run Command Post will charge the detainees for violations of the emergency decree, release them promptly or hold them indefinitely. Journalist Eskinder Nega and opposition politician Andualem Aragie, who were taken from the Addis Ababa gathering, are among a wave of high-profile prisoners released last month through a government amnesty that was meant to jumpstart a national dialogue. Whisked off with them were Blue Party member Woinshet Molla, as well as Zone 9 bloggers and outspoken activists, Befekadu Hailu and Mahlet Fantahun, all of whom were former political prisoners. Police or government officials have not commented on what provoked the raids. 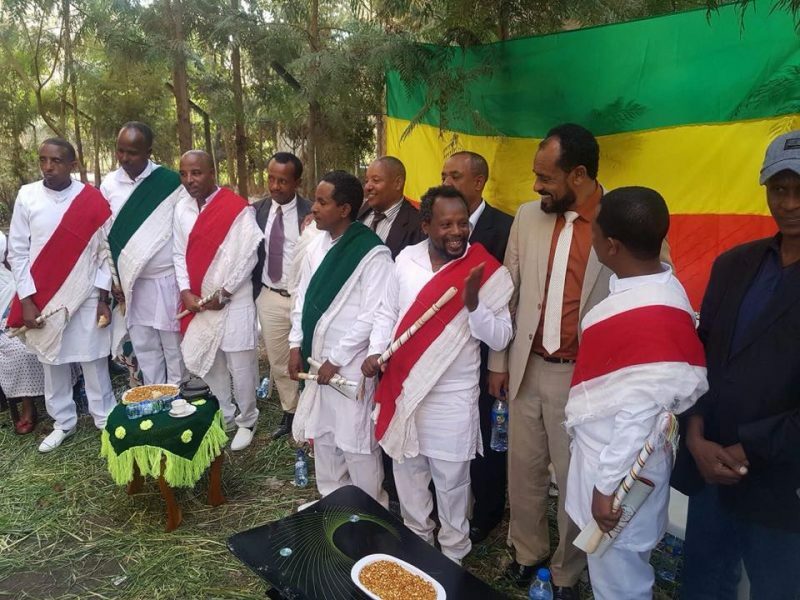 At the gathering in Addis Ababa Temesgen Desalegn’s house, police reportedly cited the presence of an outlawed version of the tricolored Ethiopian flag without the official emblem —a blue disk emblazoned with a yellow star— inscribed in the middle of it. It is unclear why police arrested the academics and activists in Bahir Dar. Prior to meeting, the congregants obtained permission from the government to finalize the founding of the new political party. Regional officials okayed the initiative four months ago, according to Christian Tadele, a member of the founding committee for the yet to be named party. Christian, who was not at the meeting in Bahir Dar during the arrest, said several detainees were beaten before they were taken into custody. 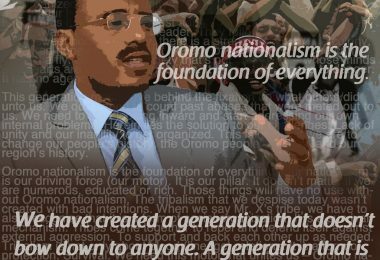 The regime in Addis Ababa has repeatedly promised to open up the political environment and widen the democratic space. On Feb. 15, Prime Minister Hailemariam Desalegn abruptly quit vowing to pave the way for reforms. But his pledge was eclipsed by the declaration of a nationwide emergency decree a day later. The Command Post overseeing the decree has since suspended the constitution and effectively closed off the political space. Gatherings of all kinds are banned; public criticism of the regime in the press and on social media is forbidden. For example, on March 15, the Command Post arrested Taye Dendea, an official at the Oromia Justice Bureau, after he questioned during media interviews and on Facebook the military’s narrative that the killing of civilians in Moyale was a mistake. Another notable critic and university professor Seyoum Teshome, was similarly jailed for speaking out against the unlawful decree. In a shocking announcement in early January, EPRDF leaders announced a blockbuster prisoner amnesty and the closure of the notorious Maekelawi prison. However, some of those arrested by Command Post, including Taye and Seyoum, are being held at that same torture chamber. Locked in a bitter and very public succession battle, Ethiopia’s top leaders have yet to initiate the long-promised dialogue with the opposition. In fact, there is no indication that such a plan is forthcoming. The lack of progress on these crucial reform promises is raising a lot of questions about EPRDF’s sincerity in its pledge to change tack. The heightened crackdown comes days before the ruling Ethiopian People’s Revolutionary Democratic Front (EPRDF) names its next leader and the country’s new prime minister. Regardless of who ascends, Ethiopia’s next leader faces a difficult task to convince a skeptical public about the party’s candor. EPRDF has broken too many promises. It lacks popular legitimacy and public trust. That some of the very people who were pardoned barely a month ago now find themselves behind bars does not scream confidence. Arresting prominent dissidents and defaulting to a military rule is not by any stretch the best way to open up of the political space and initiate much-needed national dialogue and healing. For all I know the “outdated” flag is a pretext for the arrest. Majority Ethiopians have only disdain for the ruling party and the addition it unilaterally made to the “outdated” flag! This is simply one of many instances the ruling party has refused to listen to citizen concerns preferring to violently enforce its wishes. Remember these individuals were let go having been cleared of trumped up charges by the ruling party. The plan was to prove to the world community that there is a willingness to accommodate diverse viewpoints. And the expectation was that the freed citizens would leave the country. Guess what? They would not and have no intention to leave their country. That is the real reason for re-arresting them. The irony is that actions by the ruling party either way ended up magnifying its dictatorial nature. Just few hours ago, ruling party media announced Dr. Abiy Ahmed has become the new prime minister. 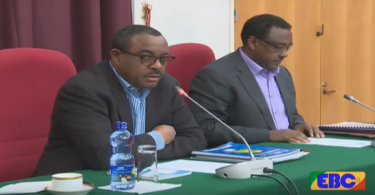 Let us hope he can appoint his own cabinet and relieve Hailemariam’s advisers and deputies (almost all Tigray Front members) AND allocate resources in proportion to population size. This is the minimum we expect of a prime minister of a country. Let me say this. 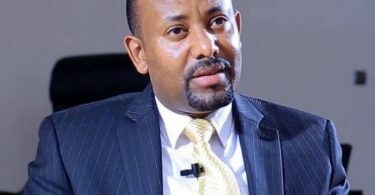 Abiy was appointed in view of H. Res. 128 to be voted on second week in April. Tigray Front is in a bind. The only option it is left with is to jail and kill. The fact however is that citizens have now no fear. Taye should be released immediately and Tigray Front apologize for its “mistake.” The only way for Dr. Abiy to succeed is for Oromo and Amhara qeerroo to continue the peaceful struggle and reclaim their constitutional rights. So who will be appointed deputy prime minister? More than likely a Tigrayan to spoil the broth. I would guess the Tigrayan “Dr” Workineh. He would be the perfect foil as member of Oromo party working for Tigray Front. As long as qeerroo mobilization is kept up Workineh’s expulsion could be enforced down the road. Tigray Front was the one that introduced “ethnic” politics; Oromo party for now has no alternative but to play by rules of the game.